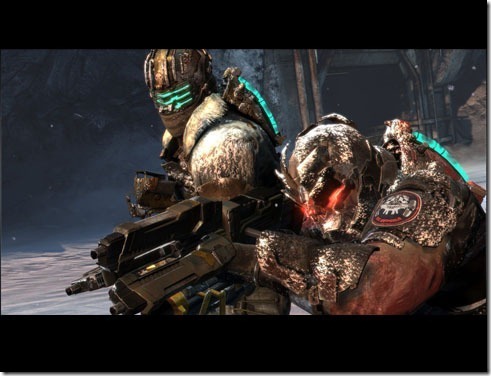 Dead Space 3 Achievement List revealed! If you’re a fan of good space horror, then like us, you’ve probably been blown away by the Dead Space franchise. And with dead Space 3 just a few weeks away, you’re also probably jumping up and down with uncontrollable excitement. Trailers touting Dead Space 3’s Kinect features are also already out. And while some people are still on the fence whether these really add anything to the game or all just a gimmick, we must say that we enjoyed its application on games like Mass effect 3 and Skyrim so at the very least, we’re also willing to try it out with Dead Space 3. Are you looking forward to the second sequel of what is probably the closest you’re going to get to a good ‘Aliens’ game? What features of Dead Space 3 are you most excited about? Let us know in the comments!